Home Camping Tips How to Choose the Right Caravan Tow Vehicle for your Caravan? Finding the right tow vehicle for your caravan can be a daunting task as there are a plethora of factors which need to be considered. Moreover, as the weight of the caravan increases and exceeds 3000 Kg, the options for the tow vehicles reduce greatly and selecting the most appropriate caravan tow vehicle becomes even more challenging. While it is relatively easy to choose a towing vehicle for your caravan based on the legal requisites, but finding the one that ensures affordability, durability and a trouble free experience is a bit harder. First of all, you need to consider the fact that whether you would be indulging in towing once or twice a year, or would be doing it much frequently. If you need a vehicle for occasional towing, only, then, a light duty vehicle will be suitable. However, if you plan to do towing once or twice every month, a big 4WD would be a good choice. Choosing the right caravan towing vehicle and other caravan accessories is vital from the security’s perspective. Towing capacity of the vehicle is another vital aspect which you must consider before buying the vehicle. However, do not consider a vehicle only on the basis of legal requirements pertaining to towing capacity. Analyse your usage and what weight you would need to tow with the vehicle. 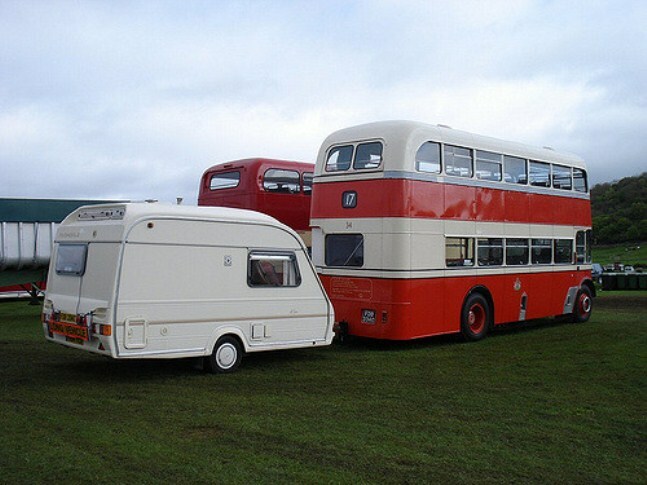 Towing is hard for any vehicle, but it becomes even harder when the caravan is at or quite close to the tow capacity. Always leave a margin between the weight you are towing and the maximum capacity of the vehicle to avoid any hassles. The caravan tow vehicles are available in three different fuel variants – petrol, diesel or LPG. If all the three options are available try choosing the one with diesel as several diesel engines lend themselves very well to the towing needs owing to their flat torque curves and high torque outputs. There are two variations available in the transmission types – Automatic and Manual Transmission. Typically, smaller vehicles better suit to the manual transmission owing to the lower internal power losses. On the flip side, the automatic transmissions aptly suit the larger capacity engines. Such engines get flexibility with automatic transmission and the driver effort gets reduced considerably. The automatic transmission also eradicates the potential for the premature clutch wear evolving from manoeuvring and hill start as well. Towing is tough for any vehicle, and thus, every caravan towing vehicle needs more maintenance and servicing as compared to a normal vehicle. Most of the vehicle manufacturers consider towing as the most extreme and severe use of the vehicle and thus, the dearth of proper maintenance can affect the life of the vehicle. Thus, always choose a vehicle which you consider is easy for you to maintain and get serviced.